I am passionate and motivated, with a drive for excellence. With four and a half years in automotive sales, I have earned advancements for my work ethics, people skills, and dedication to high levels of customer satisfaction. As a new and used car manager, I was responsible for daily sales. Examples would include working deals, appraising trade in vehicles, dealer trades, uploading vehicles to smart auction, the used car inspection process, and ensuring sales staff had the proper tools to do their jobs. As a sales manager, I was responsible for daily sales. Examples would include working deals, appraising trade in vehicles, dealer trades, uploading vehicles to smart auction, the used car inspection process, and ensuring sales staff had the proper tools to do their jobs. Internet Manager Aug 2010－Jul 2013 Rhodes Chevrolet － Van Buren, AR I began my retail sales career with Rhodes Chevrolet as an Internet Manager. 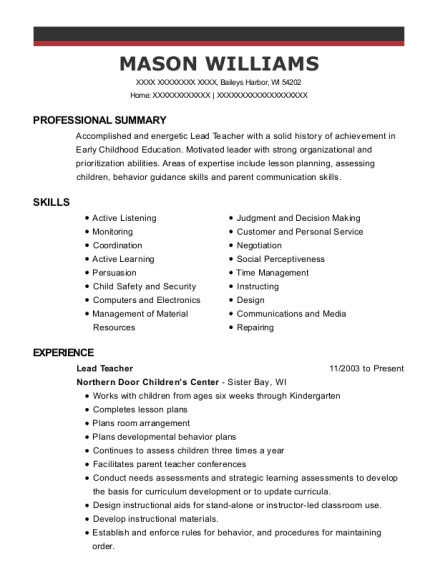 My responsibilities included answering internet leads, securing appointments, selling, uploading pictures and vehicle information to the company website. I also coordinated special events conducted by the dealership. 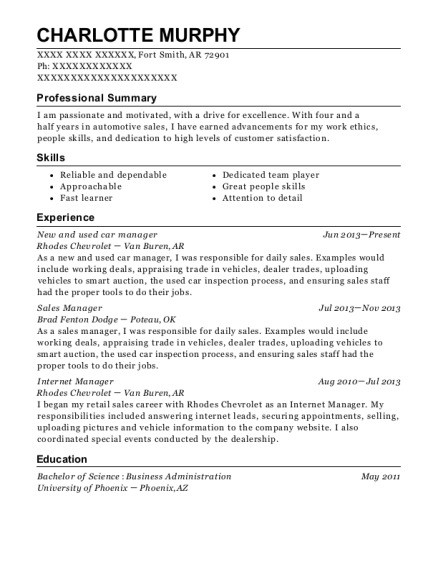 This is a resume for a New and used car manager in Fort Smith, Arkansas with experience working for such companies as Rhodes Chevrolet and Brad Fenton Dodge. 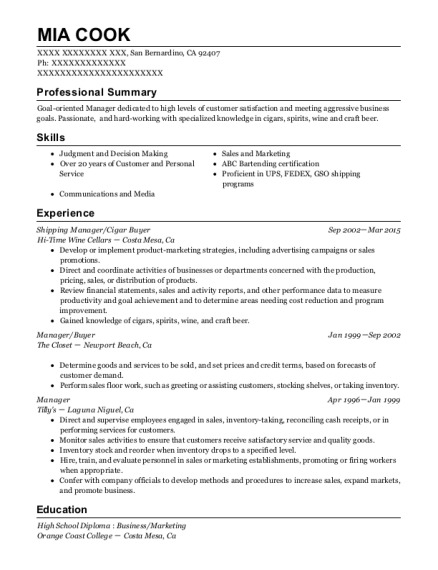 The grade for this resume is 0 and is one of hundreds of New and used car manager resumes available on our site for free. 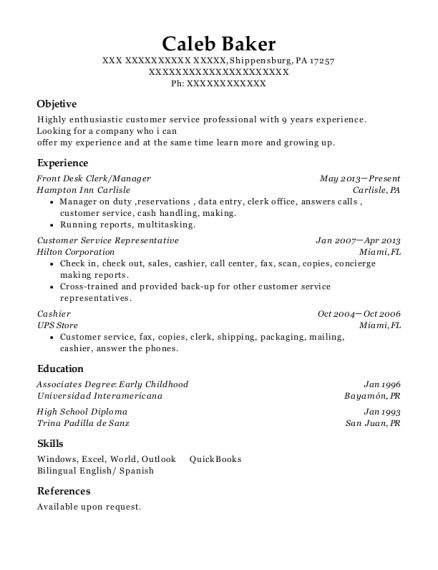 Use these resumes as templates to get help creating the best New and used car manager resume.